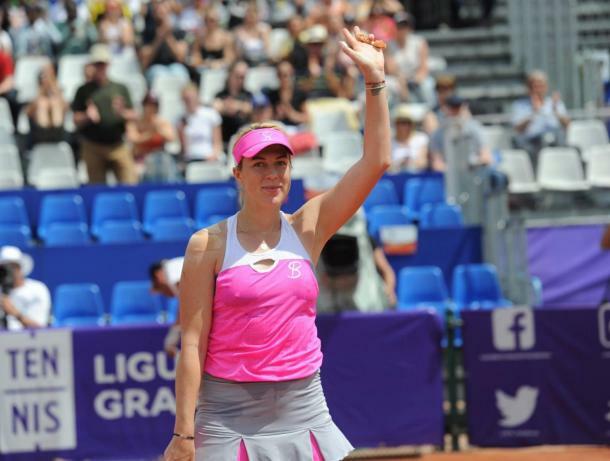 Anastasia Pavlyuchenkova claimed an epic over Dominika Cibulkova as she triumphed 6-7, 7-6, 7-6 over the Slovakian in the final at the Internationaux de Strasbourg. After a nightmarish start to 2018 for Anastasia Pavlyuchenkova, the Russian finally found her top form just in time for the second Major of the year after ousting Dominika Cibulkova in a thrilling final at the Internationaux de Strasbourg which lasted a marathon three-hours and 35-minutes. She hit an incredible 73 winners to just 49 errors, hitting 13 aces in the process. Pavlyuchenkova overcame the disappointment of losing a close first set, and stormed back in the second set by exacting revenge before saving two match points in the decider and stole the win in this 39-game affair which featured three tiebreaks. Winning just four matches on the WTA tour this year, the Russian won five this week alone, adding onto her confidence just before Roland Garros. Pavlyuchenkova, who looked so impressive throughout the week, made a correct decision to start the match on the return having came up with several powerful returns and winners to earn a break point in the opening game. Nonetheless, Cibulkova’s solid baseline game saved her from the brink, stealing the service hold in a nervy start. A series of holds followed with both players putting up an amazing aggressive performance, and the first breakthrough arrived in the fifth game. A mishit backhand from Cibulkova allowed the Russian to draw first blood, grabbing the early lead as she looked in top form heading into the second Major of the year. The depth of Cibulkova’s shots was immense and troubled Pavlyuchenkova as the world number 31 failed to deal well with her consistency, returning the advantage immediately. Pavlyuchenkova had to fend off a break point in the eighth game, and both players were stingy on their serves and refused to concede a break point opportunity in the remainder of the set, sending it into a tiebreak ultimately. A stunning escape from Cibulkova saw her retrieve from a 2-5 deficit, coming up with outstanding play as Pavlyuchenkova lost her way, being unusually erratic and defensive at the baseline, and this resulted in the Slovakian rattling off five consecutive points to take the first set 7-6 after a marathon 68 minutes. After a toilet break, Pavlyuchenkova came out firing on all cylinders as she produced a beautiful volley winner to clinch her opening service game. 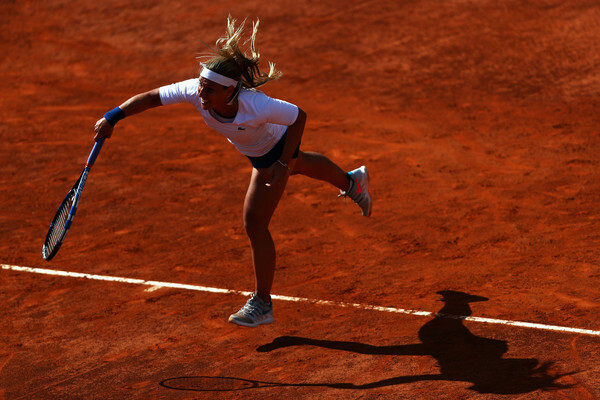 Errors on the forehand wing proved costly for Cibulkova, who gifted the Russian with the lead once more. This time, she was able to consolidate the break as Pavlyuchenkova stormed towards a commanding 3-0 lead within a blink of an eye. She had the golden opportunity to extend her lead in the fourth game but was wasteful on her chances as that gave Cibulkova the loophole to exploit on. The Slovakian came roaring back into contention, claiming three games on the trot to level the scores. Nonetheless, Pavlyuchenkova found her momentum just when it mattered, controlling the proceedings to take a 5-3 lead. Earning the chance to serve out the set, Pavlyuchenkova’s game crumbled at the sight of pressure. She lost eight of the following nine points but clinched the crucial service hold in the eleventh game but Cibulkova was able to save multiple set points, setting up a second tiebreak in succession. Falling behind a mini-break at 2-3 down, Pavlyuchenkova looked down-and-out but produced an incredible comeback — rattling off four straight points to send the match into a deciding set after a marathon 127 minutes. It was a tight start to the deciding set with neither of the players able to find a breakthrough on the return. However, after a worrying injury time-out between sets for Pavlyuchenkova, it seemed like she would fade away especially having conceded the first break to Cibulkova, who was all fired up. Riding on the momentum, many expected the Slovakian to run away with the win as Pavlyuchenkova got increasingly frustrated with each error she committed. However, the former Australian Open finalist missed out on a perfect chance to extend her lead, wasting a game point in the fifth game which paved Pavlyuchenkova’s way back into the match — with the Russian breaking straight back and tying the scores again. Ultimately, the world number 31 found herself serving to stay in the match after a quick exchange of breaks, and the pressure fawned on her as she faced two match points ultimately. It was not until after some controversy on those points when Pavlyuchenkova showed her great fighting spirit, coming back from the brink to grab the confidence-boosting service hold. There were many questions being raised at 4-5 15-40 when the umpire overruled a call and giving Pavlyuchenkova the point, despite Cibulkova requesting for the point to be replayed. 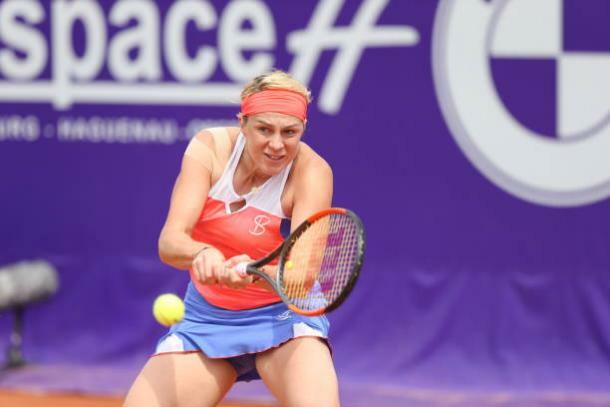 The Russian earned three break points in the following game, though Cibulkova showed some nerves of steel and stood firm, forcing errors from her opponent for a 6-5 advantage. A rare phenomenon occurred as the match was brought into a third consecutive tiebreak where Cibulkova once again had the early advantage after earning the mini-break on two occasions. 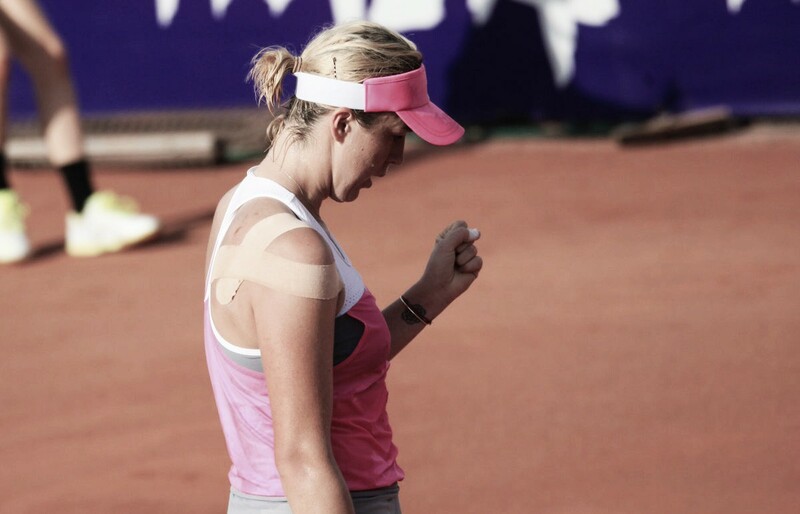 However, she let loose and Pavlyuchenkova easily overpowered her, earning her first match points of the day. She was third-time lucky, as Cibulkova sent a drive volley wide despite having an open court to hit towards, allowing Pavlyuchenkova to triumph after 215 minutes of marathon tennis.